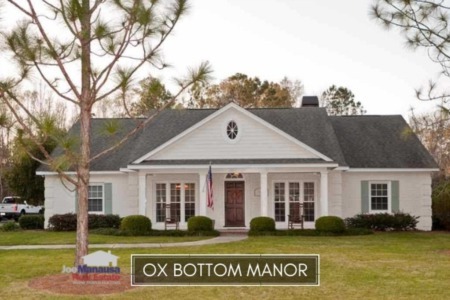 Containing more than 700 homes built in the past 30 years, Ox Bottom Manor is a relatively large and wildly popular place to live in Tallahassee's hot 32312 zip code. Prized by buyers seeking executive level homes on half-acre plus sized lots, you can expect to see well-marketed homes fly off the shelves here for many years to come. 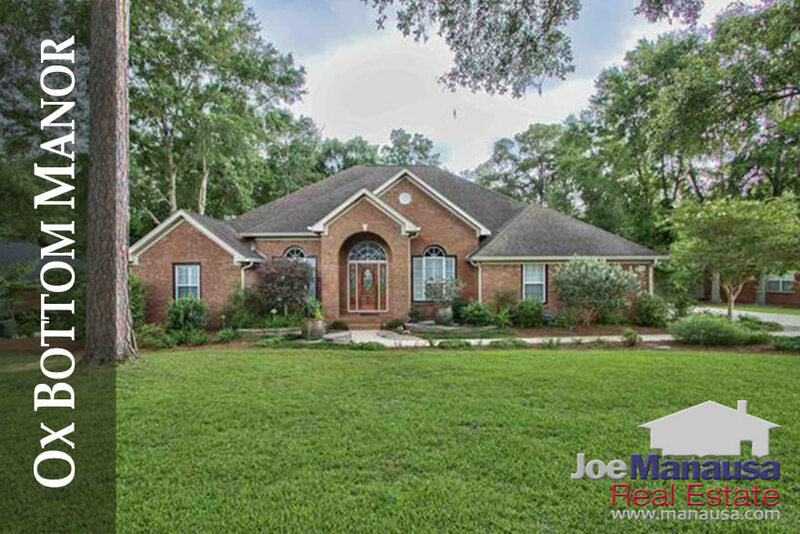 In this report, we will look at average home prices, average home values, and average home sizes in Ox Bottom Manor, as well as show all closed home sales going back to 1991. It is important to note that the narrative contained below is for sales through December for all previous years, but through the 25th of December in 2017. The graphs and the closed sales table will be continuously updated into the future (meaning bookmark this page if you always want to know the current status of homes in the Ox Bottom Manor). Average home prices in Ox Bottom Manor have hit an eleven year high and only 2006 reported higher home prices here. The average home sales price has been $390,415 in Ox Bottom Manor through Christmas in 2017. 2017 Home sales activity has been consistent with many of the slower years in Ox Bottom Manor over the past ten years. 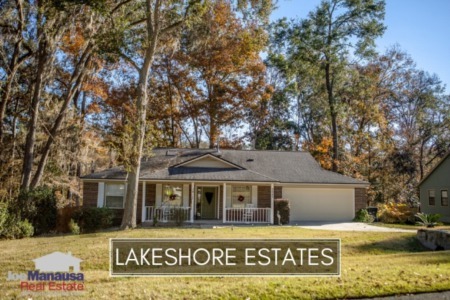 Even as prices recover to near record highs, buyers are still loving this popular NE Tallahassee neighborhood. For sales to speed up, more current Ox Bottom Manor homeowners will need to want to move! Currently, there are five homes for sale in Ox Bottom Manor and just one is already under contract. 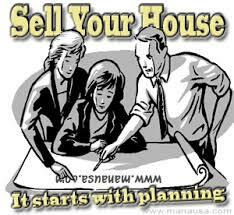 Properly marketed homes will sell in days here, (if not in hours!). Ox Bottom Manor home values have appreciated roughly 11% in 2017 when compared to the average recorded just one year ago. To put this into context, a home purchased in Ox Bottom Manor in December of 2016 has already gained $35,000 in extra value (as if the full monthly mortgage payment with taxes and insurance all went straight into a savings account). The average value of a home sold in Ox Bottom Manor has been $147 per square foot in 2017. The average home size sold in Ox Bottom Manor typically falls in a range of 2,300 to 2,700 square feet, and this year we're seeing sizes near the top end of this range. Money is cheap and buyers are maxing out in Ox Bottom Manor. The 20 sales in 2017 have averaged 2,668 square feet. This concludes our December 2017 edition of the Ox Bottom Manor Real Estate Report. Please feel free to give us a call at (850) 366-8917 or drop us a note if you have questions not covered in this report.